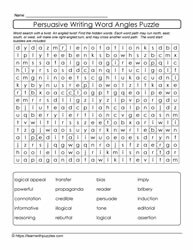 Here are free printable word angle puzzles to print. 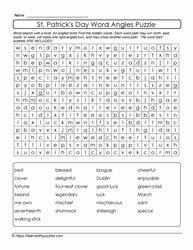 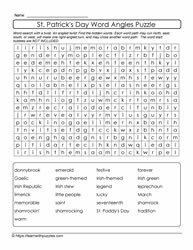 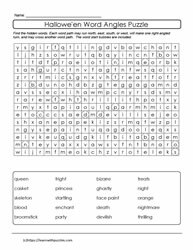 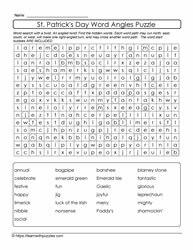 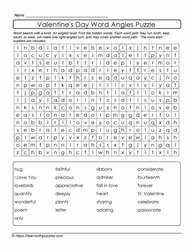 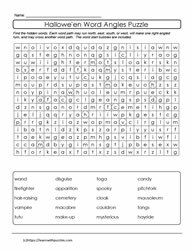 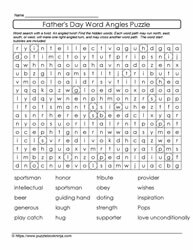 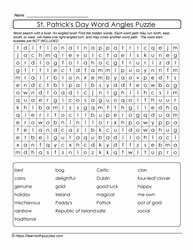 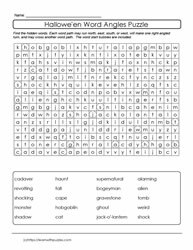 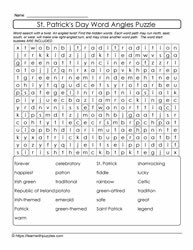 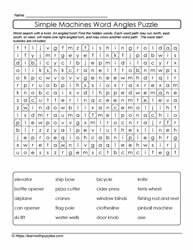 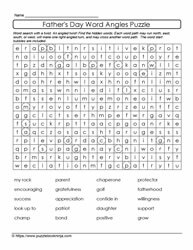 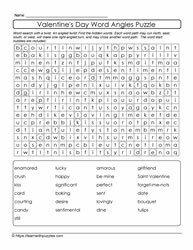 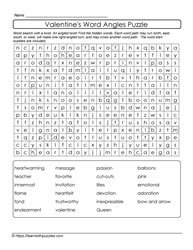 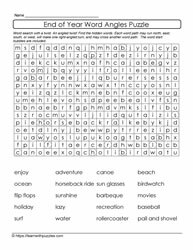 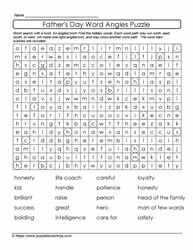 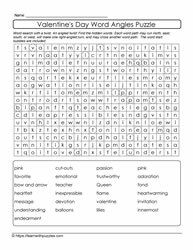 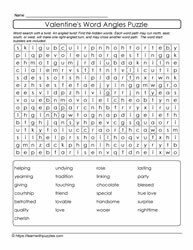 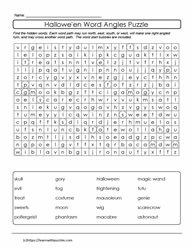 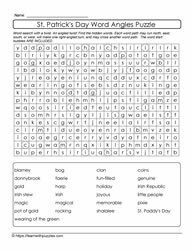 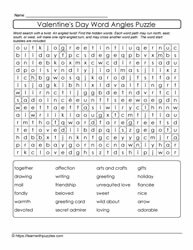 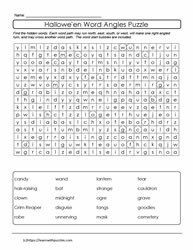 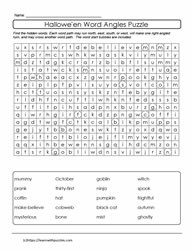 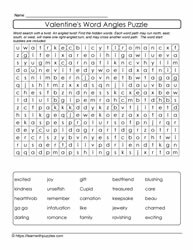 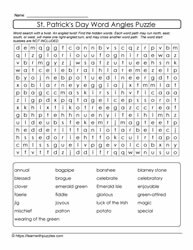 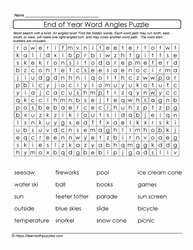 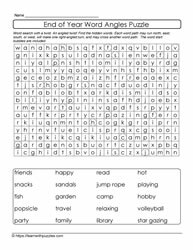 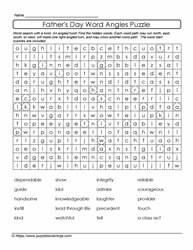 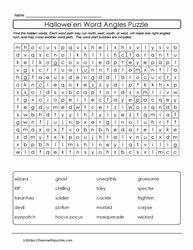 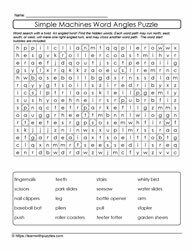 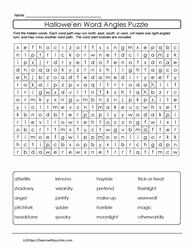 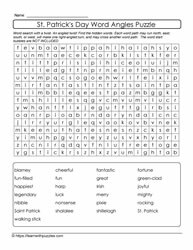 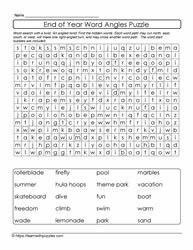 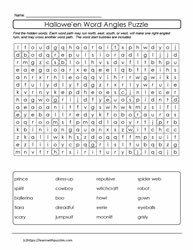 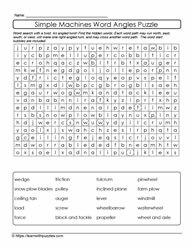 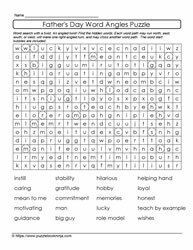 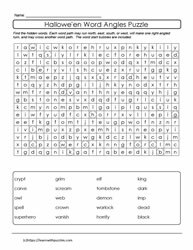 Puzzles are word searches where each word has one right angle to the letter path. 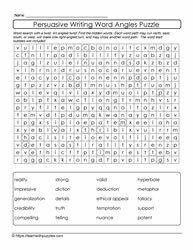 Suitable for vocabulary building and problem solving. 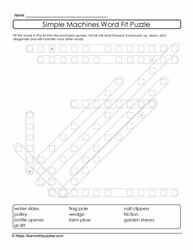 Supports English language learning, classroom and homeschooling environment.